Lazy weekends means brunching locally, and although we have a handful of go-to places, recent price hikes and deletion of some of our favourite menu items meant it was time for us to venture out and discover more good eats in the local area. I’m not usually a fan of cafes which are smack-bam in the middle of busy shopping centres, but the huge $10 breakfast sign out the front of Bellaccino’s was certainly enticing, especially given that there were still a couple more days til pay day. The $10 menu consists of your basic brekkie menu items (think eggs on toast) and even comes with a free drink if you find yourself here on a weekday, but alas we’re not, and it’s past the 11:30am that the menu runs to. Luckily there’s plenty else to choose from on their menu, which is cleverly organised by cuisine. 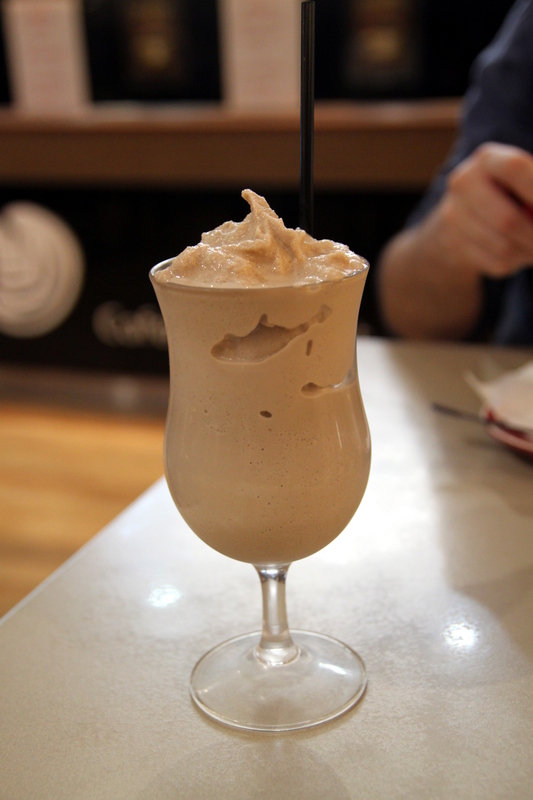 The coffee is not amazing, and my mocha frappe tasted more like a milkshake than a frappe, but it worked well as a dessert-like sweet finish to the meal. The big brekky is our go to on weekends, and although we love our bacon and sausages, the haloumi in vegetarian option did seem a little more enticing. 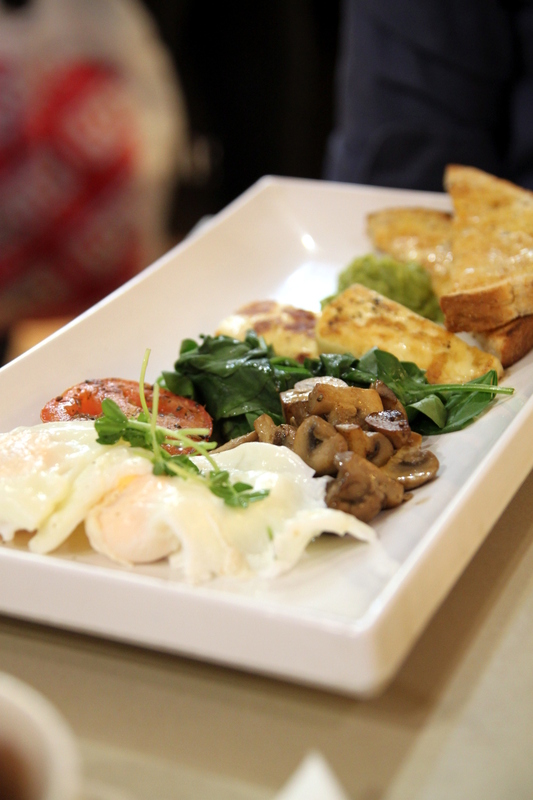 The plate of eggs, mushroom, tomato, spinach, haloumi, avocado and toast does well to satisfy our brekky cravings and whilst it’s not a particularly large serve, it is great value for the price. There’s also plenty of options for those not in the mood for a breakfast meal as such, with options from pretty much every continent from burgers to laksa to even tapas, which was an interesting offering for a cafe menu. 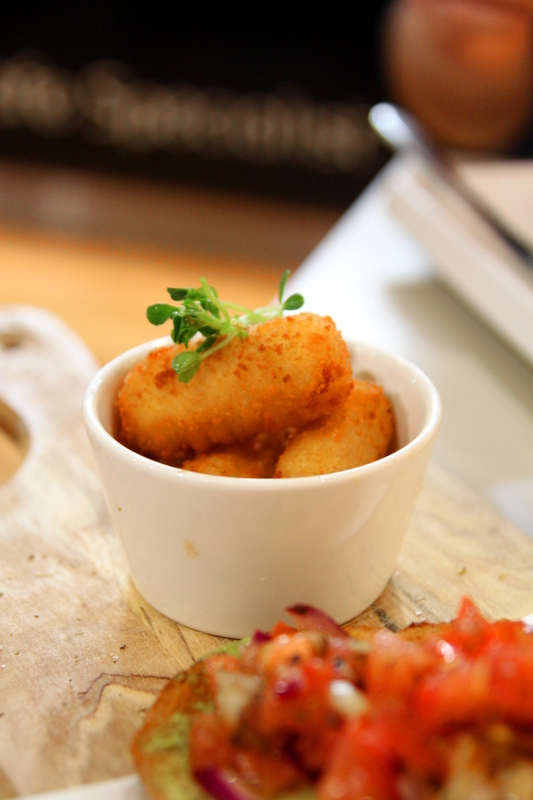 The menu gives you a number of options from which you are able to pick three to complete your meal, and after much indecision we end up choosing the ham & cheese croquettes, bruschetta and garlic prawns. We weren’t too sure what to expect, but it was done surprisingly well. The ham and cheese croquettes were deep fried to a beautiful golden brown colour, achieving a light and crispy exterior without being too oily. There’s a lot more potato than ham or cheese but it’s tasty enough. 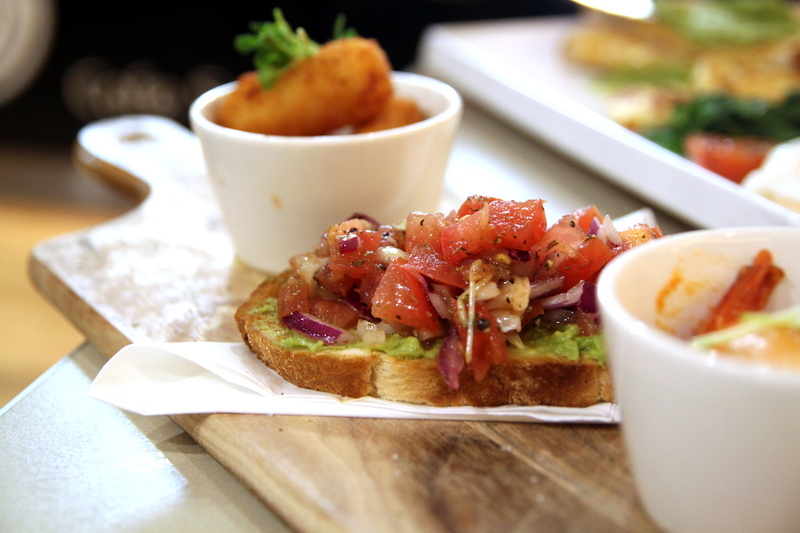 We love that the tomato basil brochette (bruschetta spelt differently) comes with a light spread of avocado giving it a bit of a breakfast feel. 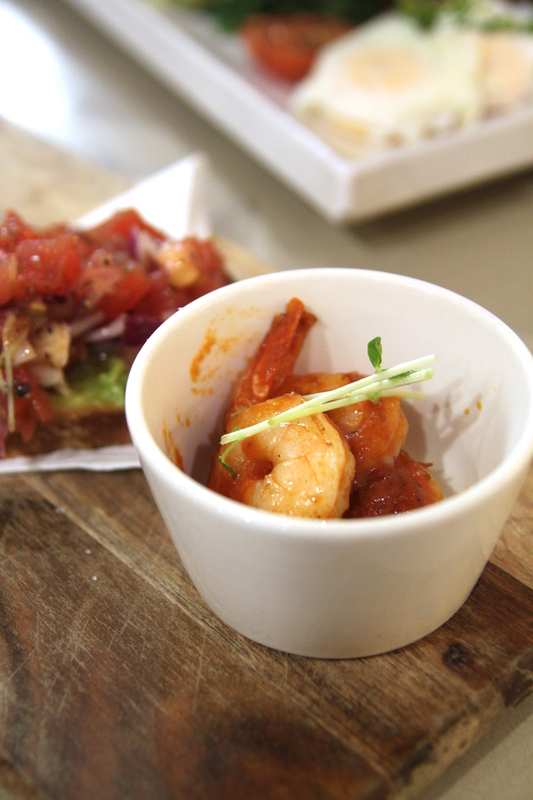 And lastly, the paprika garlic prawns were more garlic than paprika. Easily our favourite, they were fresh and tasty without being too salty- we would certainly order alone if it was on the menu, which we’ll have to check out on our next visit!